Eggs, yogurt, and honey are, at first glance, all components of a tasty breakfast—but they also happen to be hair treatment ingredients, and affordable, all-natural ones at that. And they’re not the only ones. Did you know, for instance, that the oils in avocados more closely resemble our own skin’s oils than any product in the beauty aisle does? Or that the mild acidity in lemon is a useful—and gentler—alternative to chemical-laden products? Next time your locks need a lift, save money by using one of these kitchen fixes. “The egg is really the best of all worlds,” says Janice Cox, author of Natural Beauty at Home. The yolk, rich in fats and proteins, is naturally moisturizing, while the white, which contains bacteria-eating enzymes, removes unwanted oils, she explains. To Use: For normal hair, use the entire egg to condition hair; use egg whites only to treat oily hair; use egg yolks only to moisturize dry, brittle hair, Cox says. Use 1/2 cup of whichever egg mixture is appropriate for you and apply to clean damp hair. If there isn’t enough egg to coat scalp and hair, use more as needed. Leave on for 20 minutes, rinse with cold water (to prevent an egg from “cooking”) and shampoo hair. Whole egg and yolks-only treatments can be applied once a month; whites-only treatment can be used every two weeks. 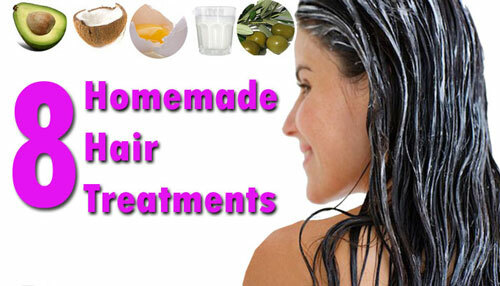 To Use: Massage 1/2 cup sour cream or plain yogurt into damp hair and let sit for 20 minutes. Rinse with warm water, followed by cool water, then shampoo hair as you usually would. Treatment can be applied every other week.